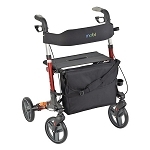 EVA Electric Adult Support Walker Regular provides comfortable support for walking. 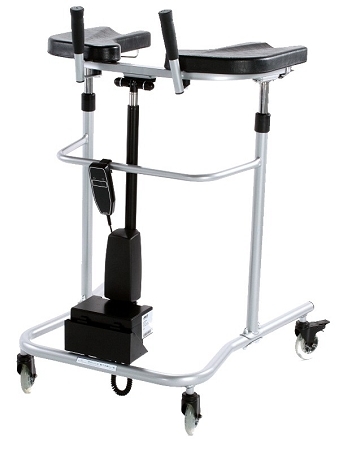 The EVA Electric Adult Support Walker Regular has a battery powered lifting aid that provides users assistance to stand safely. 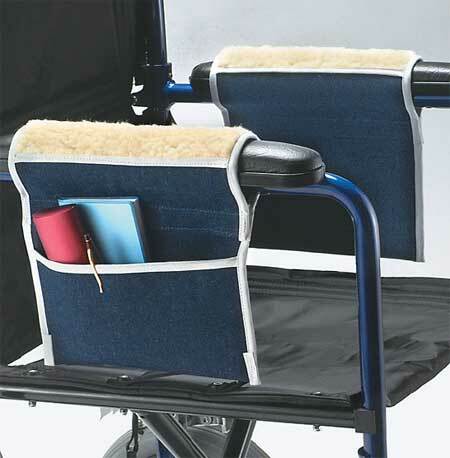 This adapted walker has a welded steel frame with wide base for walking support. 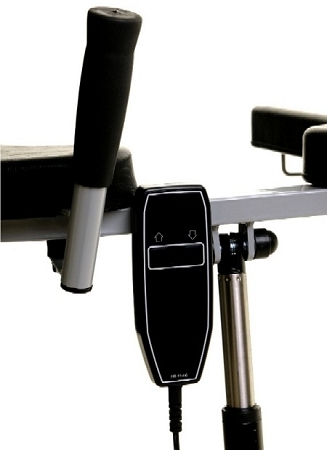 The EVA Electric Adult Support Walker features a pendant control that allows the users to easily control the lift, and works independently of the hand grips. 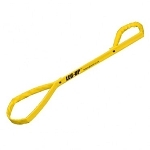 The battery power lift includes 2 rechargeable batteries and a 110V charger, operates at 6 minutes per hour continuous use for a minimum of 50 times up/down between charges. Recommended charging rate is once per week for 12 hours. The walker has a lifting capacity of 220 pounds, and maximum weight limit of 333 pounds. The EVA Electric Adult Support Walker Regular measures 28 inches at the base so it can easily fit through narrow hallways and doorways. 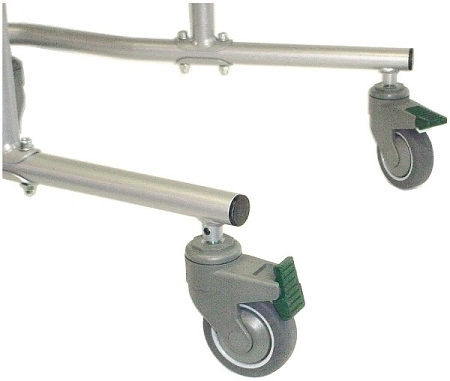 All 4 wheels on the Regular model walker swivel 360 degree, and the rear wheels have step on caster locks. The wheels on the EVA Walker with Directional Casters are easier to control. When the directional casters are activated, the rear casters roll in a straight line. The locked casters can be released, and all 4 wheels can swivel 360°. 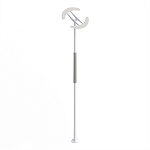 An easy to release lever mechanism adjusts the height and width of the walker. 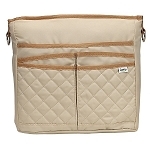 The height is adjustable from 36.5 inches to 50 inches, and the armrest width adjusts from 12 inches to 19 inches. The EVA Adult Support Walker Standard Directional Wheels assists users in controlling the direction of the walker. The directional casters align the rear casters to roll in a straight line. When the directional casters are activated, the rear casters track in a straight line. 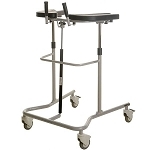 When not needed, the locked casters can be released, allowing all 4 wheels to swivel 360°. The EVA Electric Adult Support Walker Regular with Hand Brakes allow the user to lock the brakes in position by pushing the brake lever forward. Choose model: Standard, Standard with directional wheels, Standard with hand brakes. Height adjusts: 36.5 - 50 inches. Inside arm width adjusts: 12 - 19 inches. 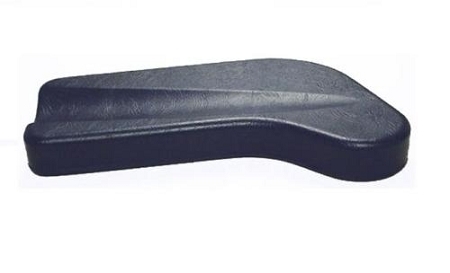 Padded armrest measures: 17.5 inches long, 6.5 inches wide. Maximum walker weight capacity: 333 lbs. 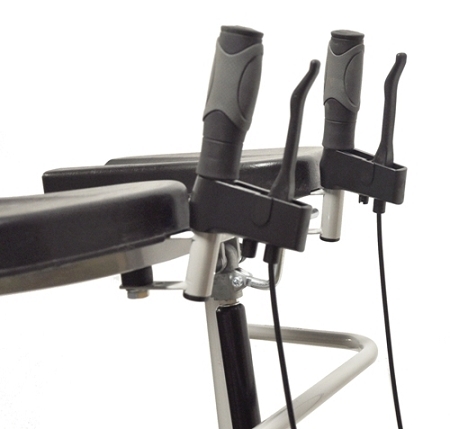 Accessories available: Push button handgrips with controls, replacement arm pads, basket IV pole, Oxygen tank holder by special order. 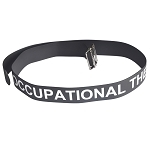 Shipping: Please allow 4-6 weeks for delivery by truck. Q: Is the width and length really 28 x 28? Do you sell refurbished ones? A: Yes, that would be the outside width. No, we do not sell refurbished units.